Sometimes called Coronate medusa, the Atolla Jellyfish is one of the deep sea’s bioluminescent creatures. It flashes when threatened, drawing in larger predators to prey upon its attacker. 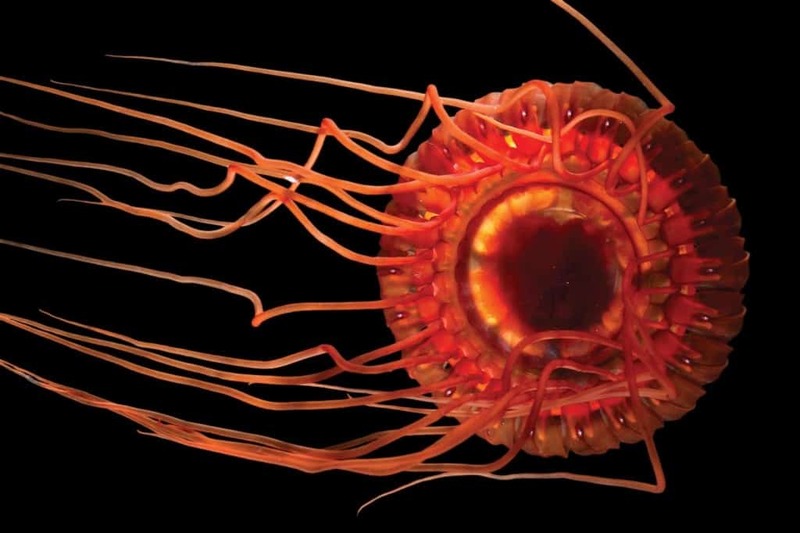 This defense strategy has given it the nickname “alarm jellyfish”. 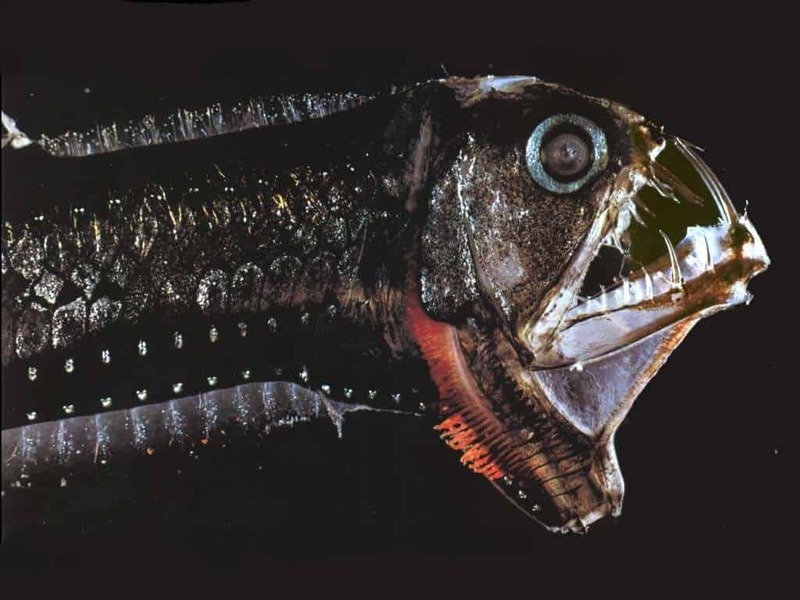 One of the most fearsome-looking creatures living in the deep, the Scaly Dragonfish inhabits warmer water at depths of at least 3,300 feet. However, despite its appearance, it rarely grows over 13 inches in length. With photophores (small, light-producing organs) running in a pattern along its body, the Dragonfish can illuminate itself and its surroundings at will, possibly to disorient predators. 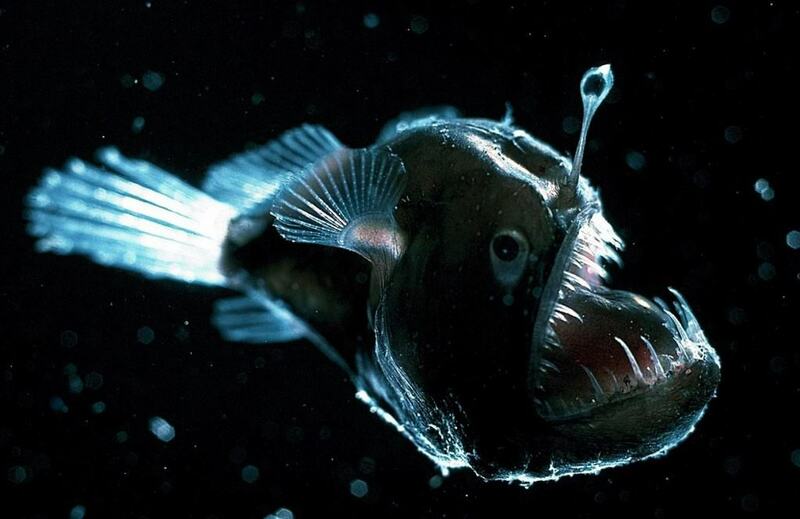 Popularized by its portrayal as a deep-sea villain in the Pixar movie, Finding Nemo, the Anglerfish is perhaps the most well-known denizen of the deep. What makes it unique is the modified dorsal ray protruding from between its eyes and topped with a luminescent organ called an “esca”, which it uses like a lighted fishing rod to lure prey into its jaws. 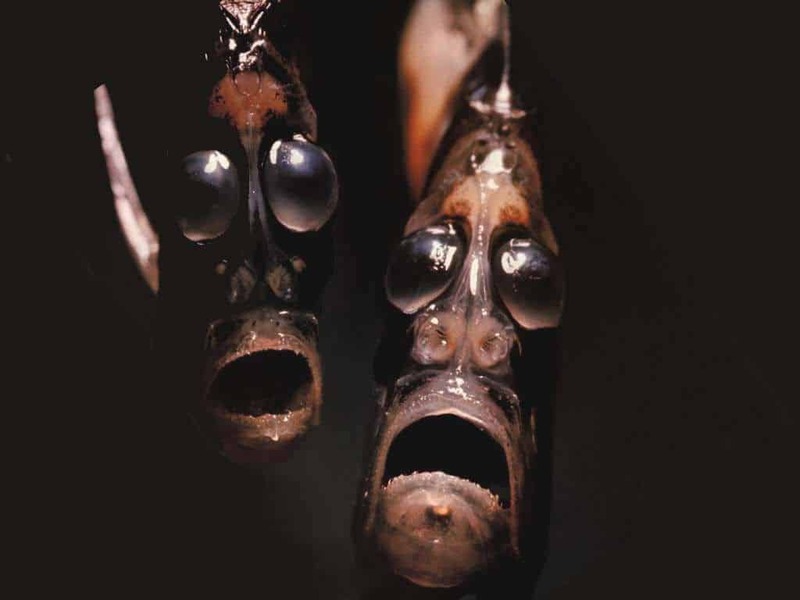 Don’t let their mournful faces fool you; the Marine Hatchetfish is actually a small, wily creature who uses its bioluminescence to prey upon potential predators’ depth perceptions by illuminating itself as if it were closer to the surface (lighter) or closer to the ocean floor (darker). 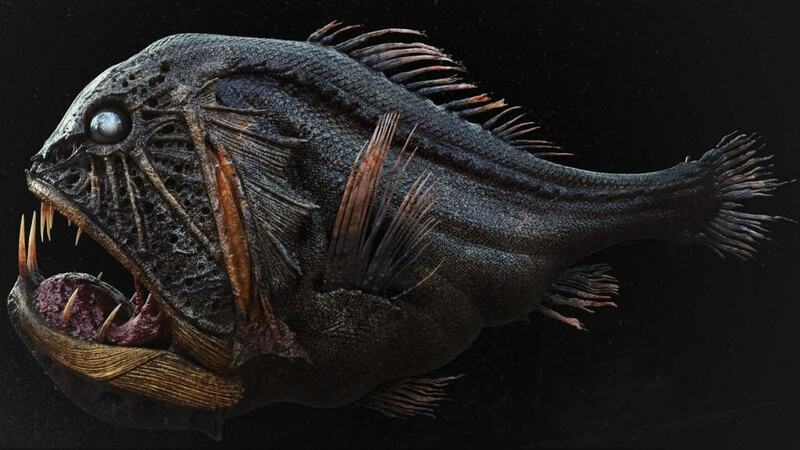 At its biggest, a Marine Hatchetfish will grow to 4.7 inches. 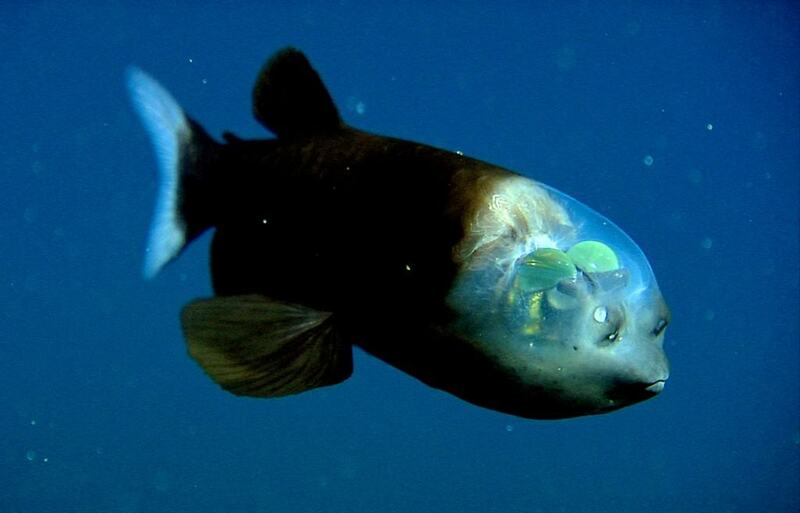 Though it may look more like something created in Photoshop by a concept artist, the Barreleyes is a real fish found between 1,300 and 8,200 feet beneath the ocean’s surface. Its distinguishing features are its transparent head and the barrel-shaped eyes that inspired its name. Known for its excellent vision, the Barreleyes’ eyes point upwards so it can see its prey from below. 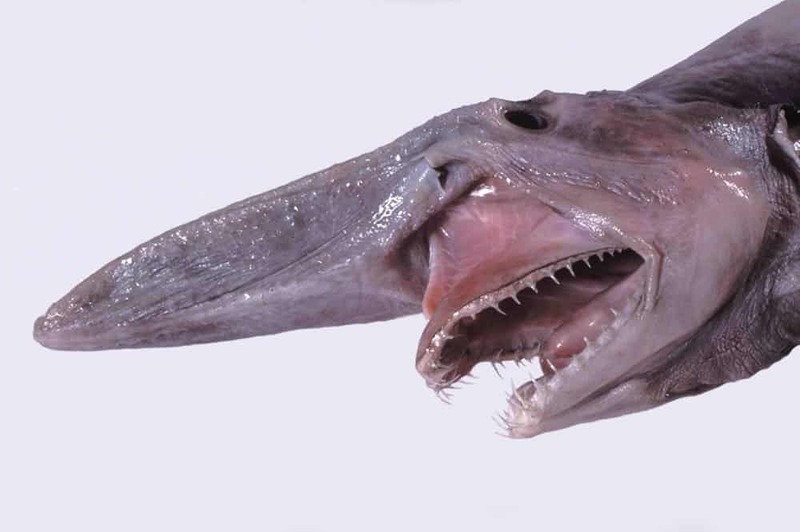 Despite looking like a monster from a nightmare, the Fangtooth is actually small and relatively harmless to anything larger than its maximum length of 7 inches. It is, however, one of the deepest-dwelling fish, having been spotted as far down as 16,400 feet. It’s not hard to see why Scotoplanes have become more commonly known as Sea Pigs: they’re pudgy and pink, just like their land namesakes, and spend most of their time rooting around in the mud. 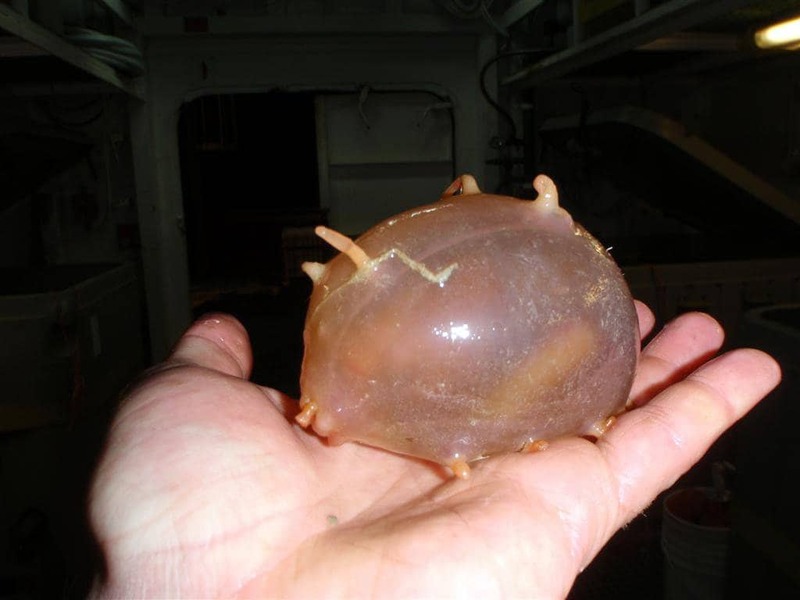 Found at depths greater than 3,000 feet and rarely growing more than 6 inches in length, Sea Pigs roam the ocean floor using their sense of smell to locate digestible organic matter. 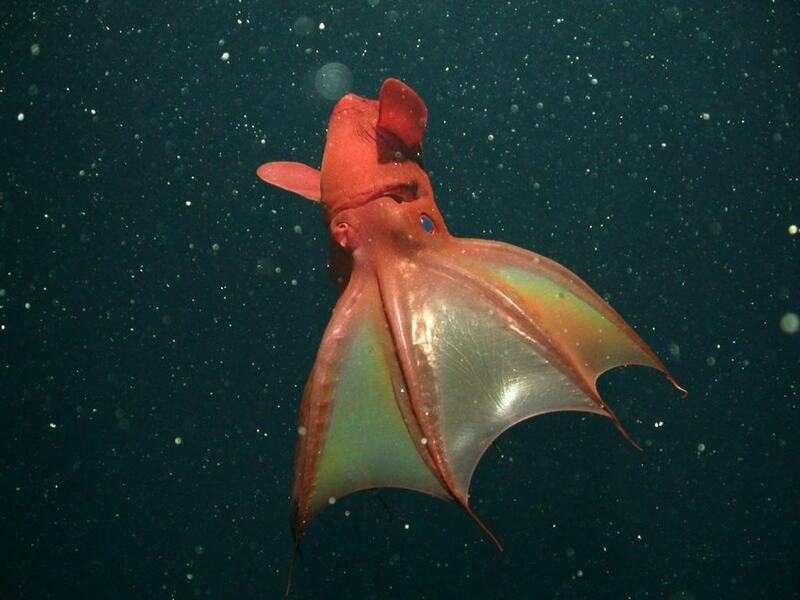 The only remaining member of a specific class of cephalopods (the same scientific family that includes octopuses and squid), the Vampire Squid isn’t as menacing as it appears. Growing to a mere 12 inches in length, it’s the only cephalopod that doesn’t hunt living prey. Instead, it scavenges the deep for crustacean shells and remains. 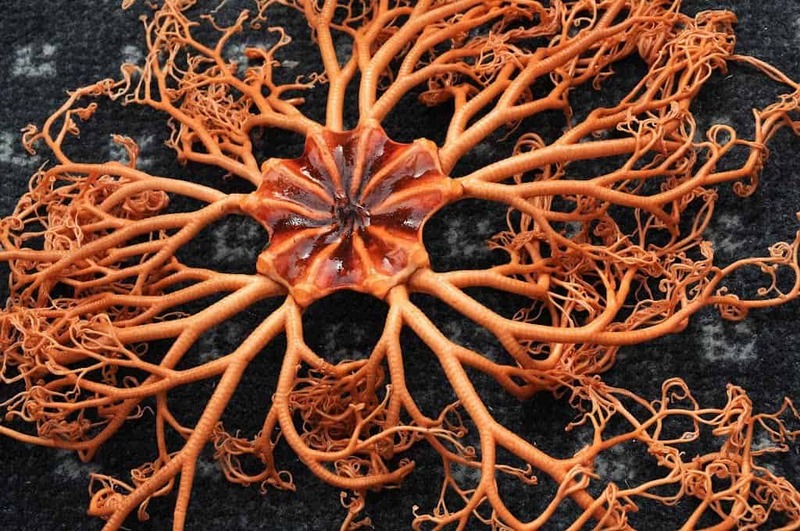 One of the most beautiful inhabitants of the deep, Basket Stars are the largest member of the brittle star family, able to grow more than two feet in breadth. In the wild, they’ve been known to live up to 35 years. 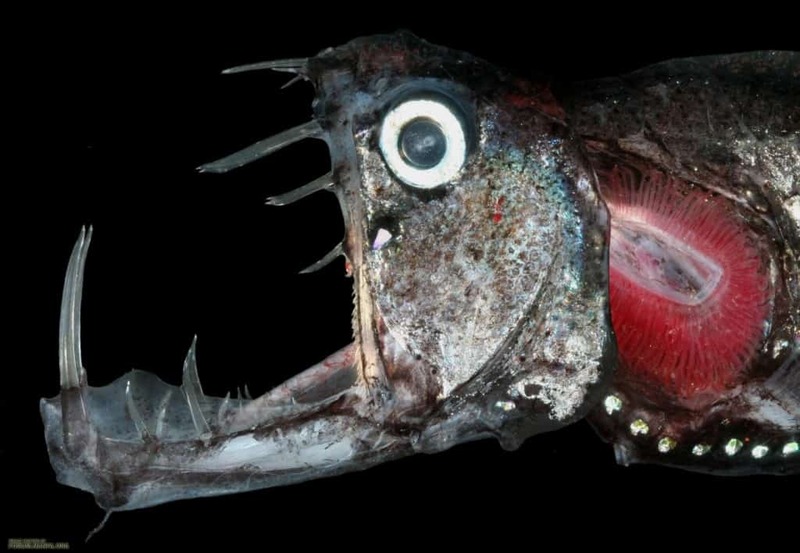 As fierce as it is fierce-looking, the Viperfish is a fearsome predator that can grow to be 24 inches long, with teeth so large they curve upward over its head when it closes its mouth. Like many other carnivores in its habitat (up to 5,000 feet deep), the Viperfish uses is bioluminescence to lure in prey. A deep-sea relative of sharks, the Long-Nosed Chimaera has a skeleton made of cartilage, not bone. 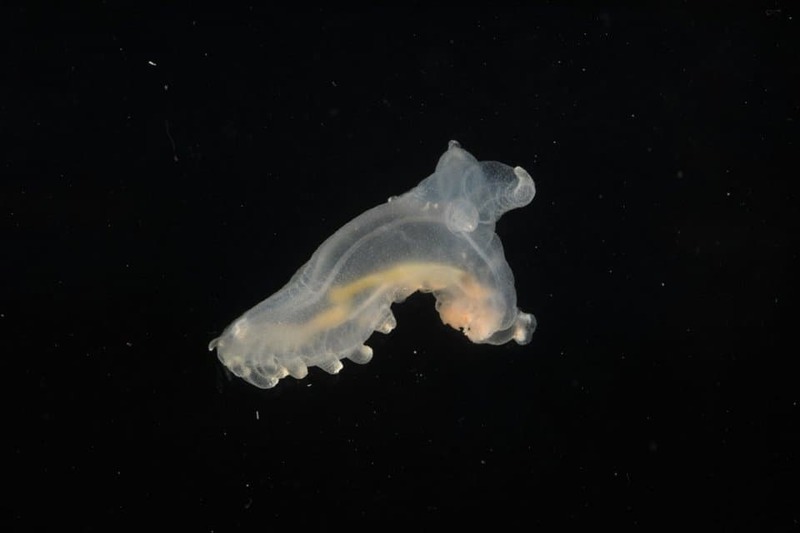 It’s rarely found less than 660 feet deep, and has been known to inhabit the ocean floor at depths greater 8,500 feet. Sometimes called the Pelican Eel, because of its oversized mouth and pouch-like jaw. 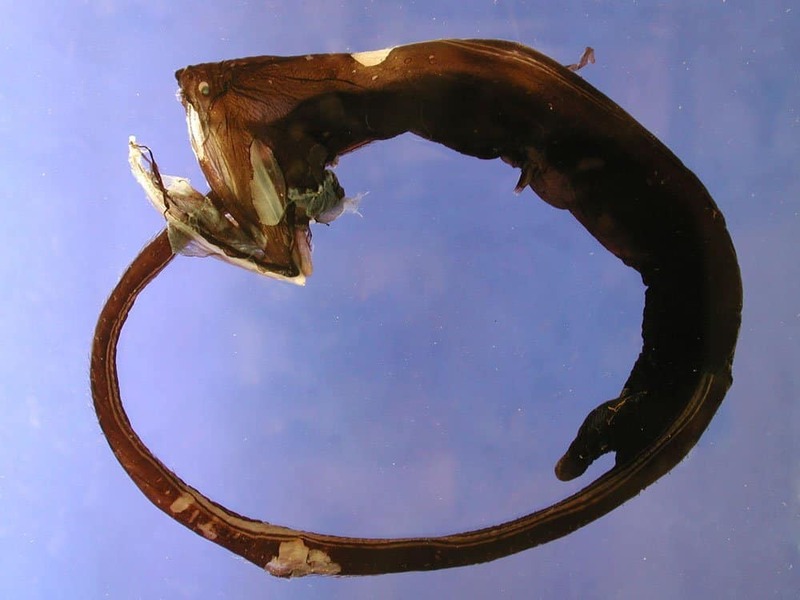 Though it mainly eats small crustaceans, the Gulper Eel’s stomach can expand to accommodate meals much larger than its body size. 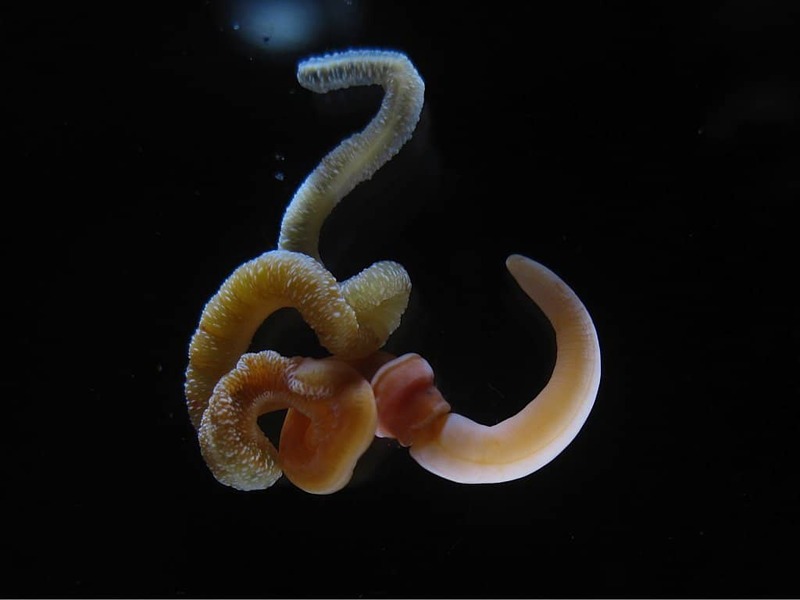 Averaging 2.5 feet in length, it lives at depths of 1,600 to 9,800 feet. With a name meaning “terrible claw”, this tiny member of the lobster family was discovered near the Philippines in 2007. Luckily, its terrible claw is no threat to humans, as this creature is only about an inch long.